This is an All-In-One Shaman class addon for World Of Warcraft. and increase your efficiency in party and in PVP. 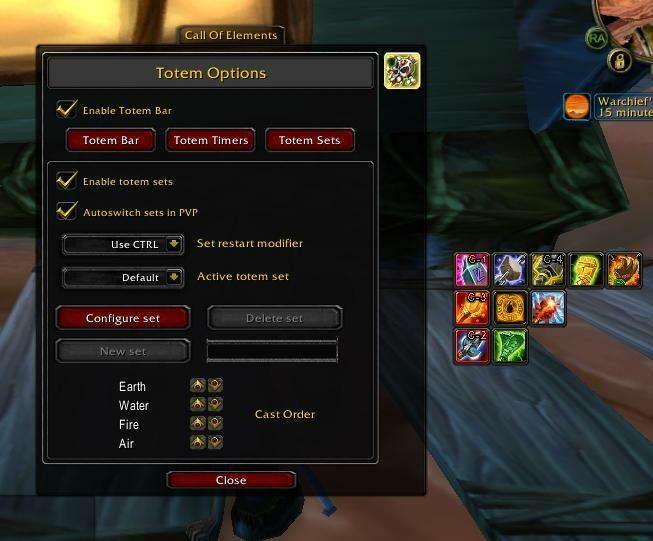 of your totems separated by element and work just like a standard action bars. the totem expires, a notification is shown in the screen center. of each element that can be cast using only one command or button. activated in pvp when you target a hostile player of the corresponding class.